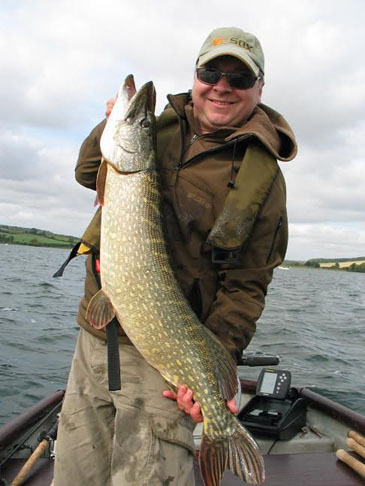 A Chew Pike of approximately 25lb that escaped whilst I was photographing it as the spoon was barbless! Our own spoons are made in the same tools as the Bandit spoon but our Copper spoon is "solid" copper NOT plated and our Silver spoon is "solid" 316 stainless, once again NOT nickel plated and as such are both superb value for money. 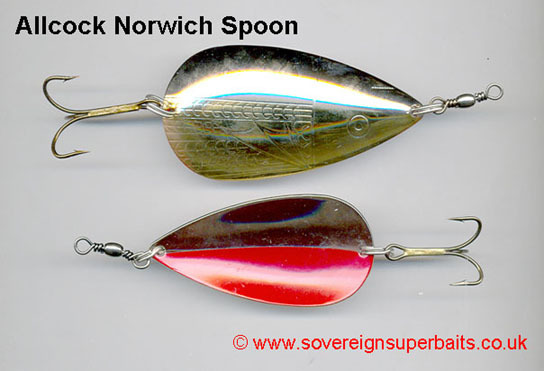 Please note Rozemeijer no longer makes this product but as it is printed on the same Bandit spoons as above, simply different colours and we have access to the pressing tool we have continued to manufacture these spoons under our own Bobcat brand. Same spoon, different packaging. 5” 30g and 50g shown here front view on the left, back view on the right. 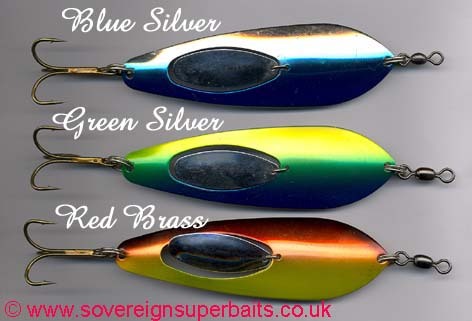 3 new colours on already proven spoons. 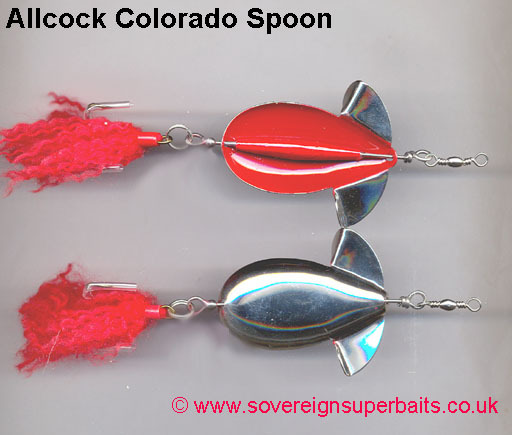 Sizes given are the sizes of the spoons excluding swivels and hooks. Not dissimilar to the Kuusamo Taimen but almost double the size. It weighs in at 28g with a 4” spoon and overall length of 6” (so legal on most trout reservoirs). Its unique curved and tapered design gives it its fantastic eratic action. 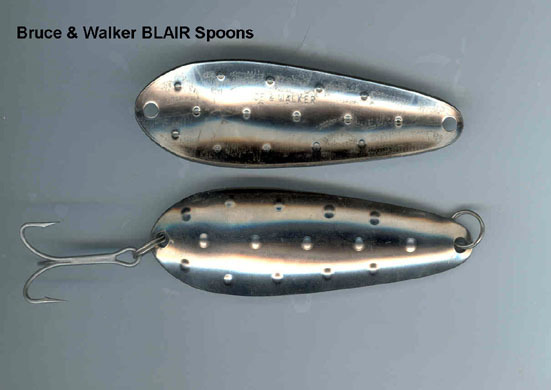 these are original Bruce & Walker Blair spoons. These haven't been produced for more than 20 years & were designed to be able to double up. You can do the maths yourself, but you have the option of a 1oz, 1.5 oz or 2oz double spoon by mixing the weights. 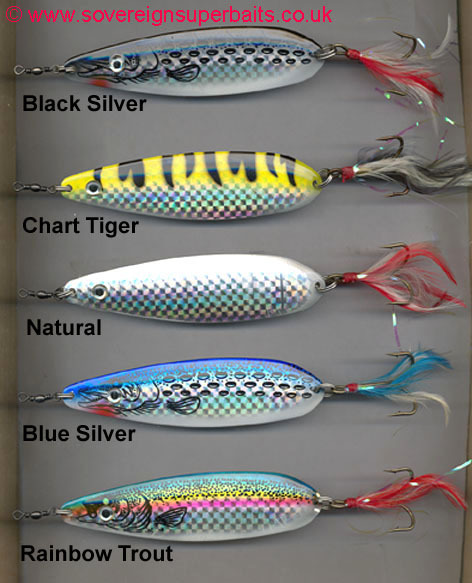 We have them in two weights & can sell them just as spoon blanks or as finished, ready to fish spoons. 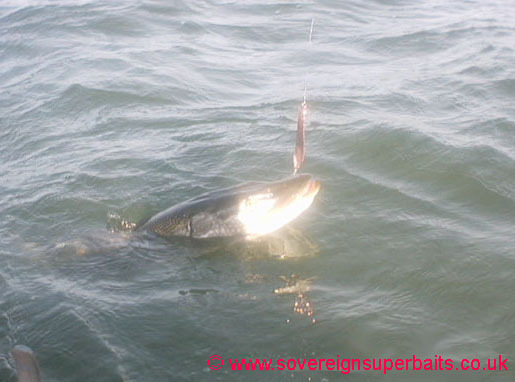 With a size 1/0 treble, 2 size 6 split rings & a number 8 swivel, they are 6" long & reservoir legal !! 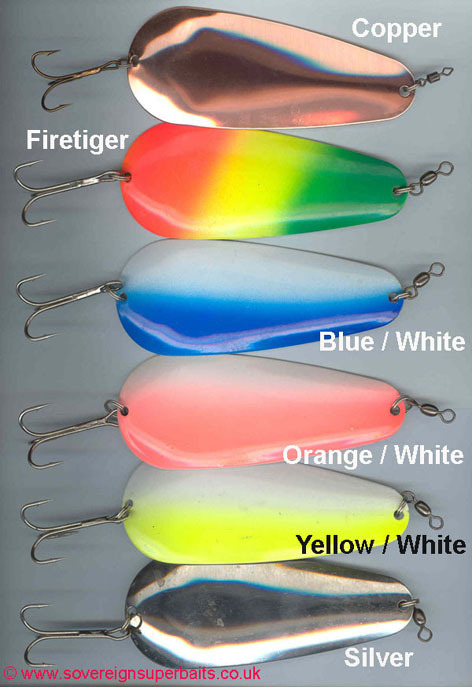 We sell them rigged as above or as blanks for you to "fit out"
Blanks are polished & sealed as they would have left the factory 20+ years ago.